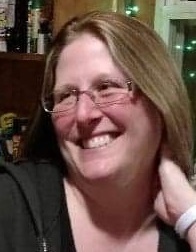 ELDRED, Pa.---Nichole M. Bean, 42, of Eldred, formerly of Shinglehouse, passed away unexpectedly on Tuesday, January 22, 2019, at Buffalo General Hospital, Buffalo, N.Y., after suffering a brain aneurysm. Born on April 15, 1976 in Olean, N.Y., she was a daughter of Charles H. “Charlie” and Carol A. Best Johnson. On March 22, 2006 in Shinglehouse, she married Charles L. “Chuck” Bean, who survives. Nichole was a graduate of Allegany (N.Y.) High School and attended State University of New York at Fredonia. She later graduated from the BOCES Nursing Program as a Licensed Practical Nurse. At the time of her death, Nichole was employed at the Bradford Manor as an LPN. Nichole loved the outdoors, hunting, fishing and kayaking. She loved watching NASCAR. Her greatest love was her family and her dog, Bode. Her last act of kindness was to be an organ and tissue donor. Surviving besides her husband are her father of Allegany; four stepchildren, Justin L. (Christa Kent) Bean and Andrew M. (Chelsea Wichert) Bean, both of Shinglehouse, Taylor L. (Brayden) Meacham of Yuba City, California, and Gunner C. Bean of Shinglehouse; a granddaughter, Layken Lynne Meacham; a brother, Eric E. (Michelle) Johnson of Soddy Daisy, Tennessee; a niece; a nephew; and two grandnieces. In addition to her mother, Nichole was predeceased by a sister, Heidi L. Johnson; her mother-in-law, Harriett Bean; and her father-in-law, Art Bean. Family and friends may call from 11 a.m. to 1 p.m. on Saturday, January 26, 2019, at the Virgil L. Howard Funeral Home, 118 South Union Street, Shinglehouse, where a memorial service will follow at 1 p.m. with the Rev. Russell J. Horning, pastor of the First Baptist Church, Shinglehouse, officiating. Burial will be in Maple Lawn Cemetery, Bolivar, N.Y. In lieu of flowers, memorials in Nichole’s name may be made to the Bradford Manor Patient Activity Fund, 50 Langmaid Lane, Bradford, PA 16701 or to the Sena Kean Manor Patient Activity Fund, 10783 US Rte 6, Smethport, PA 16749. Nichole’s family has entrusted her care to Kevin J. Dusenbury, funeral director/owner of the Virgil L. Howard Funeral Home, Shinglehouse.